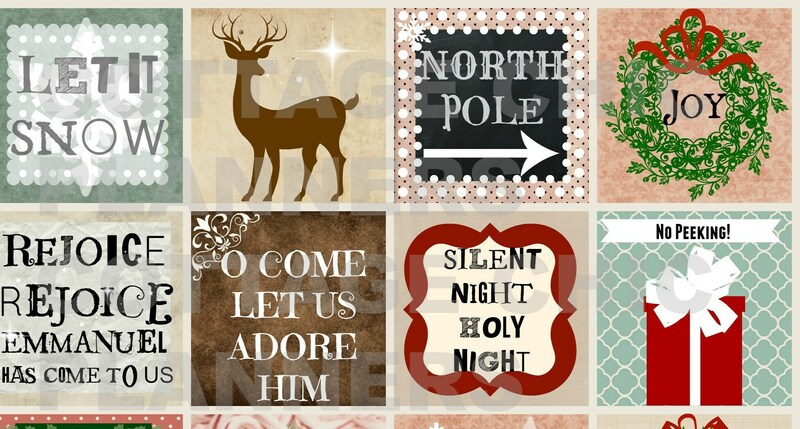 Original Pdf printable file of Woodland Style Christmas Stickers/Journal planner cards. Each page when printed out has 16 - 2" sized squares. Squares are original art by Ribbonwood Cottage. 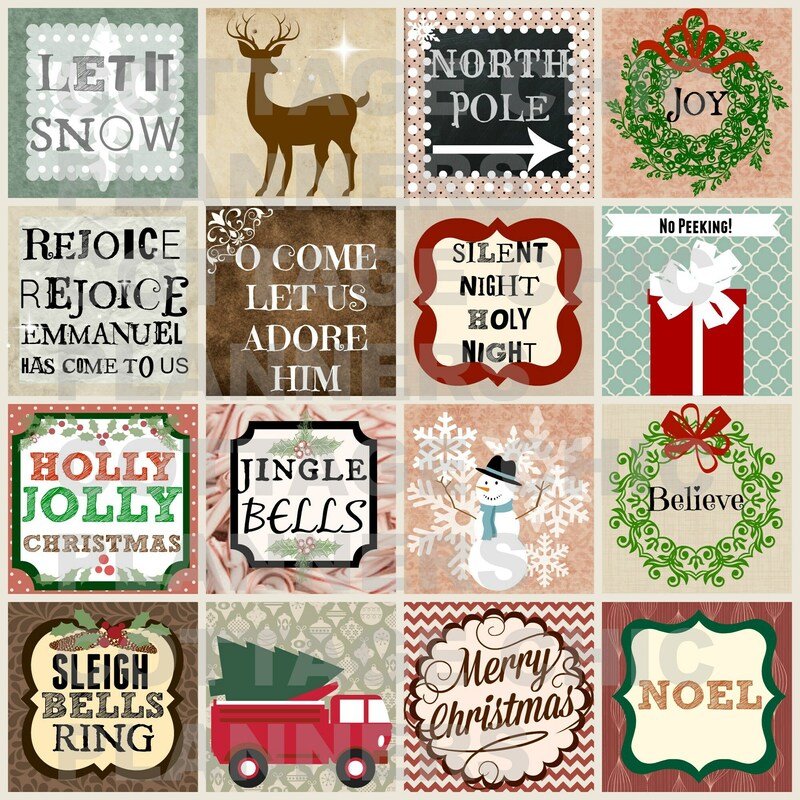 I first designed these to go in my Christmas planner that had a Christmas/Woodland/Rustic theme. I used papers and ephemera, stickers, and washi tape that had dark rich reds, greens, and browns. Everyday was wonderful to look at and see. I love being intentional with my planner, and planning how it will look. I love certain themes and love getting the necessary Planner accessories to decorate it. Like decorating a room, except less expensive and a lot more fun!